During the French Revolution, life was dangerous, and the fabric of society was rapidly shifting. As the aristocracy faced the guillotine, their fashions went out of favor. The clothes worn by the French king Louis XVI, his wife Marie Antoinette, and the aristocracy were considered outmoded, and no longer viewed as something to aspire to. Instead, a modest style worn by people of France's lower class — who were fighting against the upper classes who severely oppressed them — became more popular. 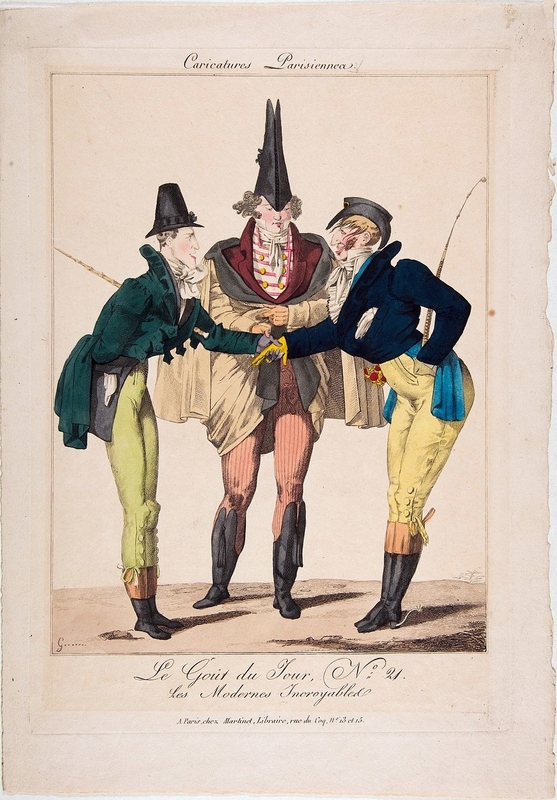 But despite this divide, a group of young aristocrats who had grown up amongst the instability of the Revolution were rebelling in their own way: with outrageous, flamboyant fashion. And they were all about irony. 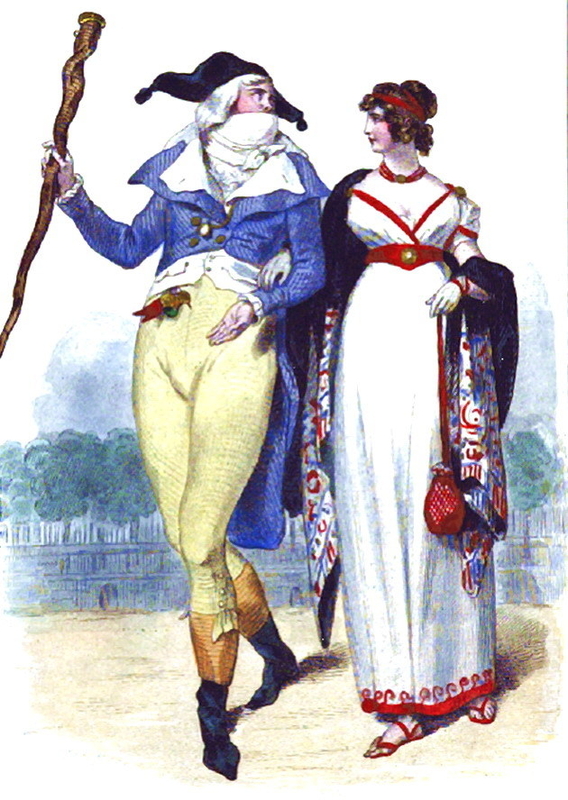 They mocked the excessive style of the pre-revolution upper class. They mocked the time, and even themselves. They wanted to be seen as a spectacle. 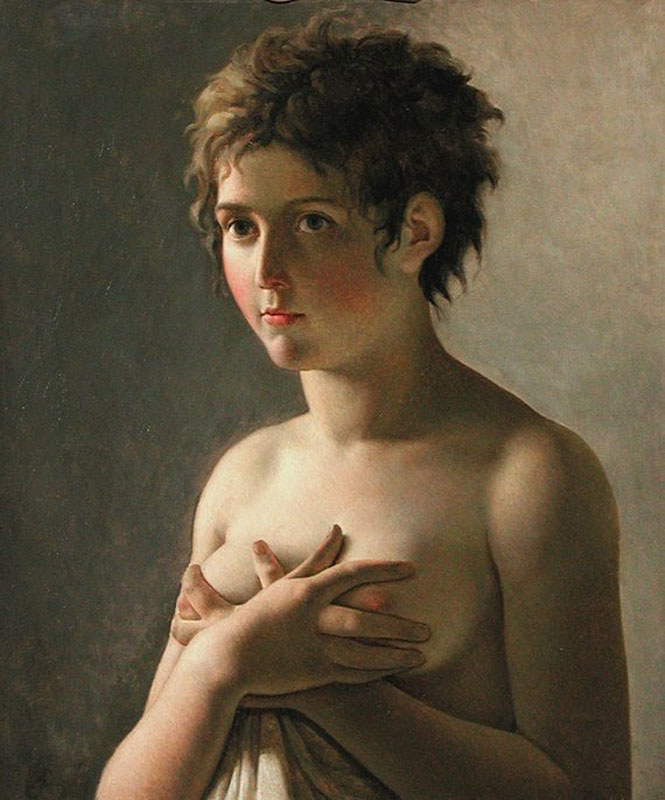 The Merveilleuses were the women of this movement. They wore very sheer dresses, often with nothing underneath, and poured water over the fabric so the material clung to their bare curves. The Merveilleuse style was inspired by Ancient Greece, and it often included loose, flowing fabrics, and even Grecian sandals. Some women exposed their bare legs and breasts, and some even walked naked in public — which was a huge change from previous buttoned-up styles. The Incroyables were the male counterparts to the Merveilleuses. ...and walked with a hunched posture and carried wooden clubs. 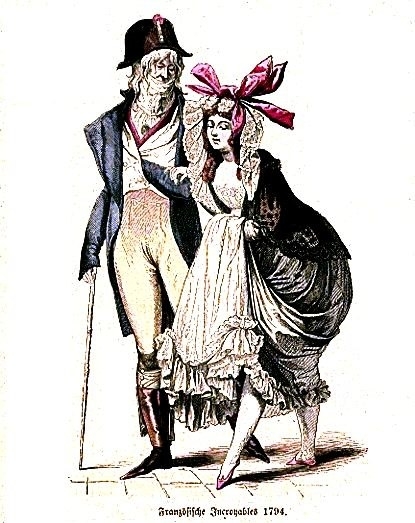 They were real-life caricatures of the pre-revolutionary aristocrats and their extravagant fashions and lifestyles. 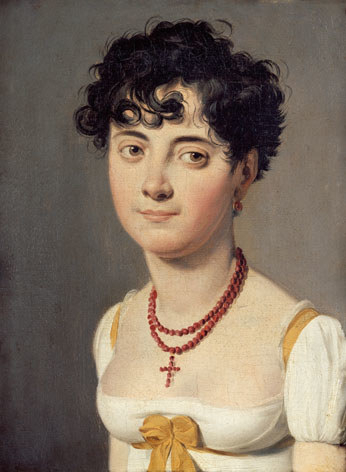 Merveilleuse and Incroyable style was also influenced by the massive death toll of the Revolution. They attended balls called the bal de pendus or le bal des victimes, both a time to blow off steam and, in a way, mourn– because to be allowed into these events, you had to have a relative who'd been executed. They'd wear red around their necks, mimicking those who had died by guillotine. And some women adopted the style a la victime or coiffure à la Titus, similar to the haircut one would receive before going under the blade. 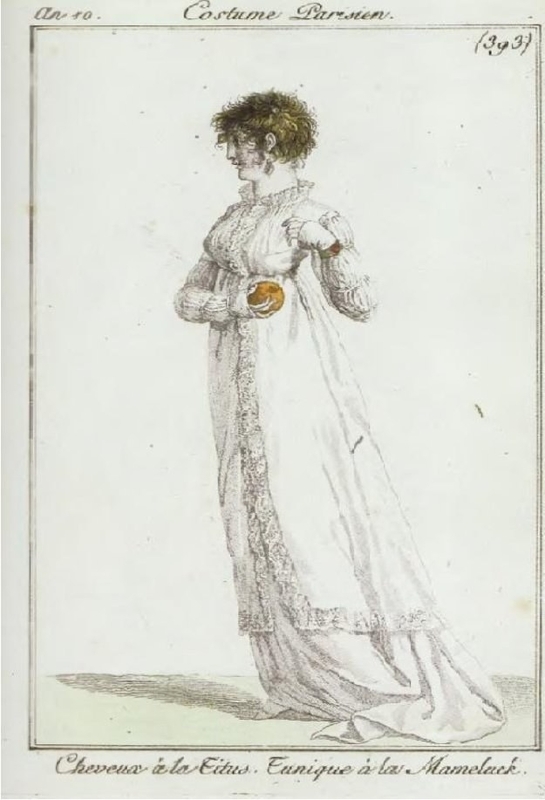 So even though we think of "scandalous" or strange fashion as fairly modern, these trendsetters were disrupting society with their style over 200 years ago. But what do you think? 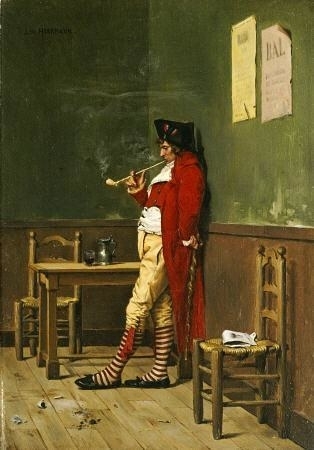 Were the Incroyables and Merveilleuses the original hipsters? Or were they just a boring blip on fashion history? What are you talking about?! Stop trying to make this a thing.